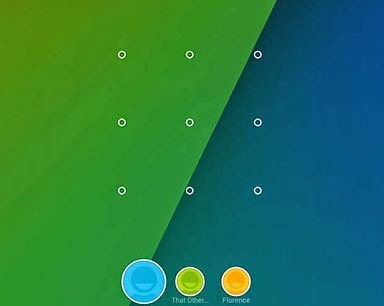 Set up your Android tablet as a family PC, with separate accounts for each member of the household. If you live in a multi-person household where your Android tablet is frequently used by more than one person, you might want to take advantage of Android’s built-in ability to manage multiple user proﬁles. You never know who is going to pick up your tablet to quickly check their own email, so you might as well keep your personal data safely shielded away from prying eyes. Google enabled multi-user accounts almost two years ago with the release of Android 4.2.2 Jelly Bean, and added restricted proﬁles with Android 4.3 (think: Kids Mode). The functionality is still limited to tablets at the moment. Here’s how to properly share a tablet between friends and family. Before you begin, it’s essential that you ﬁgure out what type of access you want to give to the various parties sharing a tablet with you. Regular and restricted proﬁles are vastly different in what they allow users to do, but both serve their own purpose. Also, keep in mind that you can create up to eight different user proﬁles. First, head to the Settings page, then select Users underneath the Device settings. You’ll see a list of proﬁles already available, including yours, as well as the option to add another. Select Add a user or proﬁle and then designate what type to make. Now we’ll walk you through the specifics of setting up each type of user account. If you’re sharing your device with, say, a spouse, you’ll want to add them as a ‘User’ in order to give them full access to the Android operating system. Android will ask for that person to go through the same Google account setup process you did. You’ll always be considered the primary owner of the device, but other, unrestricted users will have unfettered access to everything, including apps and settings. For instance, if they download an app, it’ll be made available to everyone else. However, every photo taken, note written, and calendar entry made stays contained within that user’s proﬁle, so you won’t have access to that information – only the ability to delete the account if necessary. Those users can also set up their own password to keep the owner of the device from snooping in on their stuff. Whether it’s a nosy relative or a kid with curious ﬁngers, a restricted user proﬁ le can ensure that no one gets themselves into a sticky situation. 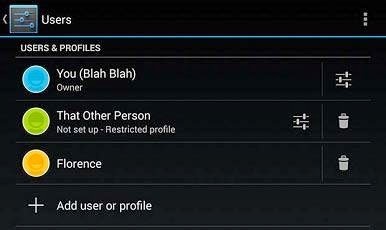 From the user accounts Settings screen, select Restricted user proﬁle. Android will ask you to create a lock screen pass-code if you don’t have one already set up. 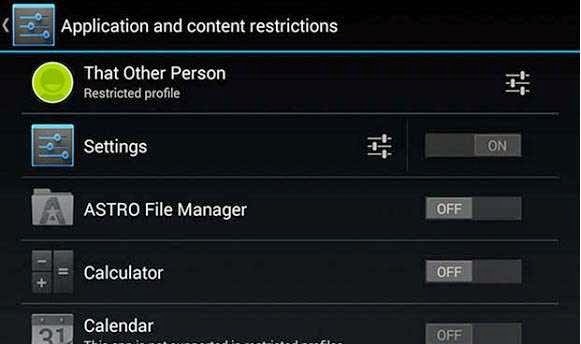 Then it’s time to tediously pick and choose which apps the restricted user has access to. You can even restrict them from some of Android’s core apps, too, like the camera app. If you’re creating the restricted proﬁle for your little ones, enable access to the Google Play Movies & TV app, and then select Set app restrictions. From here, you can set rating limits on TV shows and movies. As tempting as it might sound, you won’t have access to the information contained within other user accounts if they’re secured with a lock screen pass-code. Do use discretion, however, and be sure to communicate with the other members of your tablet’s family about what their needs are. When you’re ready to rid of an account, just click the trash can icon to delete it.